Strong Families for a Strong Hopewell. 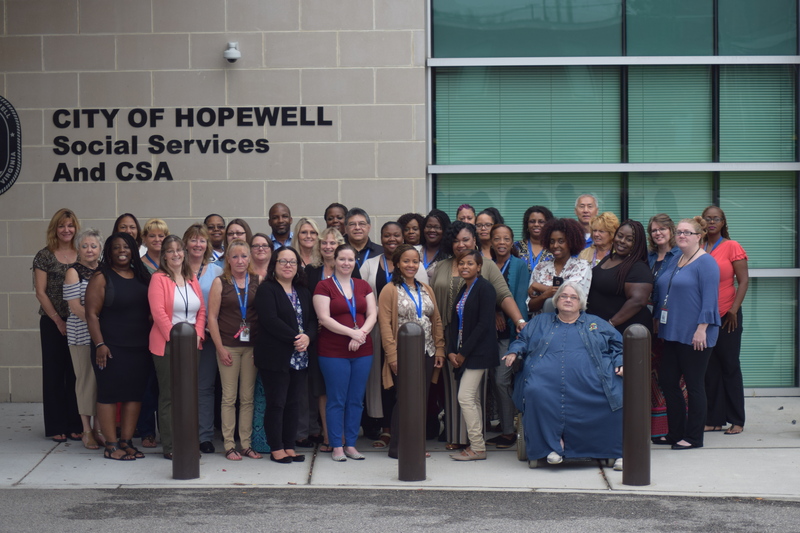 Serve and assist Hopewell residents in ways that strengthen and preserve families, encourage personal responsibility, and foster independence. Partner with others to support child and family success in a system that is family-focused, child-centered and community-based. Deliver services professionally and treat all customers with dignity, respect and confidentiality. Provide a positive learning environment where every level understands the big picture and individuals’ ideas are valued and encouraged through support, coaching and accountability. Embrace diversity and inclusion because only by including all perspectives are we at our best and only through cultural competency can we optimally serve the public. Conduct ourselves with honesty and integrity because leadership and service require a clear moral compass. Financial assistance programs include: Auxiliary Grants for elderly/blind/disabled customers who live in adult homes; FAMIS (Family Access to Medical Insurance Security) Plan; Energy Assistance; SNAP; Medicaid; State/Local Hospitalization; and, Temporary Assistance to Needy Families (TANF). Social Services programs include: adoptions; adult protective services; child protective services*; community based care/nursing home screenings; custody investigations; child care services; emergency needs services; foster care; home-based services; adoptive/foster parent/child care provider training; volunteer services; and, employment services for TANF recipients. *In the event of an after hours child protective services emergency, call 1-(800) 552-7096, and ask for the Hopewell on-call Social Worker. To file a complaint of discrimination, write USDA, Director, Office of Civil Rights, 1400 Independence Avenue, S.W., Washington, D.C. 20250-9410 or call 1-(800) 795-3272 (voice) or (202) 720-6382 (TTY). USDA is an equal opportunity provider and employer.